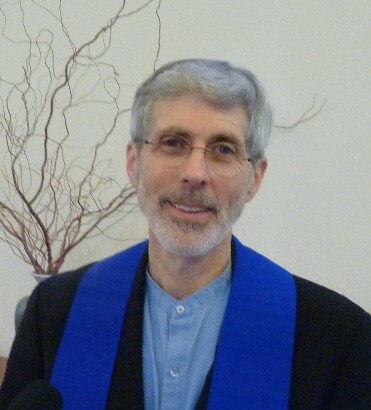 The Social Justice in Action team has formed a sub-committee to prepare UUCS for acting on the Sanctuary Congregation Resolution adopted by the congregation at the 2017 Annual Congregational Meeting.That sub-committee, the Sanctuary Team, has identified several tasks that must be completed before it will be possible to accept a request to provide sanctuary for a guest. You can look at the Sanctuary Congregation Basic Facts page for information about how this initiative will affect UUCS. The economic impact of this resolution upon the congregational budget may include extra costs incurred by added use of utilities. Food and other necessities for our potential undocumented guest will be borne by volunteers within the congregation and volunteers from sanctuary support congregations in the community. Our accommodation for offering sanctuary will be constrained by our current facility makeup. The Sanctuary Team and Rev. Rick will decide when we are ready to offer sanctuary, and the UUCS congregation will be informed when this milestone is reached. This list is not all-inclusive. The Sanctuary Team is sure there will be other things to do and consider in the weeks to come. We will modify this list as appropriate. Identify where the guest will live:To offer sanctuary, we need to have a safe and secure place with a minimum of hot and cold running water, a bathroom, a room to sleep in, and food. The location must meet the fire code regulations. Status: The Green Classroom will be modified so it has adequate fire exits. This will require fundraising. The person will be able use the janitor’s closet to take sponge baths. Consider fund-raising: The Sanctuary Committee will have a fund-raising event to pay for the cost of retrofitting the windows of the Green Room so that the room meets fire code requirement of having two exits from any living space. Set up a network with local groups to respond when we accept someone for sanctuary: Hosting a sanctuary guest will require hundreds of volunteer hours and some expertise that may not exist within the UUCS community. Status:Rev. Rick and the Sanctuary Team are working with other faith groups and immigrant rights groups to form a network of support, an umbrella organization that will offer support to undocumented immigrants and their families who face possible deportation. Create a list of volunteer tasks and get volunteer commitments: From the local network and from UUCS, the Sanctuary Team will make a list of volunteer tasks and get commitments from volunteers. Status: So far, the Sanctuary Team has identified the following volunteer tasks: 2 chaperones to stay with the person 24 hours/every day, folks to donate food (the church kitchen may not be used to prepare food) and living supplies, folks to do laundry. Define acceptance criteria and decision process for accepting a sanctuary guest. The Sanctuary Team must have a clear decision-making process for determining who would be accepted into sanctuary, and for determining the continuation of sanctuary. The length of stay will be dependent on what support commitments the Sanctuary Team can obtain. Status: The Team is discussing the criteria and who would be involved in making the decision to accept a guest. Define a covenant for guest behavior: The sanctuary guest must understand and agree to UUCS’ terms for living in our church. The covenant will outline the daily living needs and expected behavior of the person in sanctuary. It will also list expectations related to resolving the guest’s immigration/legal status and his/her behavior while in sanctuary. Define a plan for external communications: Providing sanctuary requires that UUCS be open about the identity of the guest. The media coverage may be intense. The Sanctuary Team must have a plan in place for controlled contact with the media to ensure that sanctuary is visible to the community and seen as an open and transparent process, not one of harboring or concealing. The plan must include a list of people that the media can contact, and ensures that everyone in our congregation refers all media requests to the designated people. Consider SIHN requirements: When UUCS hosts SIHN families, volunteers and families fill most of the offices and rooms in the RE wing. The Sanctuary Team is aware of the space needs of SIHN weeks. UUCS will need to consider not offering sanctuary during SIHN weeks. If we have a sanctuary guest during a SIHN week, the Sanctuary Team will need to work closely with SIHN volunteers.